PMBComments: On the State of Venezuela's Democracy: Dec 8/13 | Mexico's Oil Revolution, Lots coming our way! Oct 9/13 | It's NOT the military, stupid! Oct 23/12 | The sad truth..
Dec 8/13 | Mexico's Oil Revolution, Lots coming our way! A vote that will be heard all around the world. Once the final legislation package is passed by Mexico's Congress and implemented by new regulators and industry players, this seismic shift in Mexico should have a momentous impact on global oil markets. Not only will there be the promise of growing supplies from this quasi-dormant producer, but the energy balance in the Western Hemisphere will continue to be reshaped to the detriment of Middle Eastern producers and of erratic and shamelessly corrupt PDVSA. Canada, the US and Mexico will be a formidable trio. BUT, eventually things will change in Venezuela, and when they do, the big loser could well be Brazil with its prohibitively expensive Pre-salt oil fields. In the late 90s, Saudi Arabia reacted badly to Venezuela's plan to double its production capacity to 6 million barrels/day. All too happily they triggered the price war of 1998 to show their displeasure. In 1999, Chávez, upon arriving in office, opted for a high price versus a market share strategy. Relative calm and astronomical prices have defined the oil market ever since. This course reversal (or hara-kiri) by Venezuela benefited Saudi Arabia, Russia and non-traditional producers, including shale oil and shale gas producers in the US. What will the increasingly estranged Saudis do if they again fear becoming totally untethered from its main ally and once-upon-a-time largest client? And what will Russia's Rosneft do? Participate aggressively in the sure to come Mexican auctions, or redouble its efforts to consolidate its foothold in Venezuela's Orinoco Belt despite the hardship of dealing with the current incompetent management at PDVSA? MEXICO CITY—Mexico's government and the main opposition party sealed a historic deal Saturday to open up the energy sector to competition, ending a 75-year-old monopoly of state-owned oil firm Petróleos Mexicanos, according to the final draft of the energy bill agreed upon by the two sides. 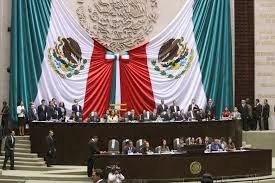 Mexico's Congress is expected to pass the bill, which has been months in preparation, in the coming week. The changes include amendments to three key articles of the Mexican constitution—25, 27 and 28—which form the legal core of the country's nationalistic oil laws. The ruling Institutional Revolutionary Party, or PRI, and the conservative National Action Party, or PAN, combined have sufficient votes in both houses of Congress to secure the two-thirds majority needed to change the constitution. The bill breaks a long-standing taboo in a country that expropriated the oil industry in 1938 under former President Lázaro Cárdenas, making oil a symbol of national pride and sovereignty. Mexico is the world's ninth-largest oil exporter, and is thought by geologists to hold the fourth-largest reserves of shale gas. The energy overhaul is the flagship economic proposal of President Enrique Peña Nieto as his administration aims to increase long-term economic growth and lift oil production that has stagnated in recent years around 2.5 million barrels a day. The bill would end the restrictive laws that have kept private companies out of oil and gas production, except for service companies working under contract to Pemex. The changes allow the government to partner with private firms through different kinds of contracts, according to the final draft, sharing with them the risks of exploration activities. Mexico will allow profit-sharing contracts, where oil firms are paid in cash; production-sharing contracts, where oil barrels are divided between the government and the companies; and licenses, through which the firms take control of oil at the well head, paying royalties and taxes to Mexico. Licenses mimic concessions, although formally concessions will continue to be forbidden. Mexico will choose the most suitable contract for each specific project. Licenses would likely be used for more complex, riskier deposits such as shale gas or ultradeep-water oil. Pemex will have preferential rights to bid for blocks, and contracts for other firms will be awarded via public tenders. The changes have the potential to transform not only the oil industry, but also the country. Pemex would cease to be the sole operator authorized to explore for, produce, and refine oil and gas. The bill also creates a sovereign oil fund, modeled after a similar one in Norway, to channel part of the oil income into long-term savings and pensions. A trust controlled by Mexico's autonomous central bank will manage the fund, according to the final draft, as the opposition PAN demanded. Oil and gas reserves will be owned by Mexico, but firms will be able to book them on their balance sheets as expected cash flow, which is critical for companies to secure project financing. For Mexico, the overhaul could bring the billions of dollars required to develop deep-water hydrocarbon reserves and allow it to avoid becoming a net importer of oil, something Pemex officials have warned could happen as early as 2020 if nothing is done. They say Mexico needs investment of around $60 billion a year to exploit those resources, while Pemex is only investing around $25 billion a year. The final draft of the energy bill is closer to the PAN's proposal than the initial plan presented in August by Mr. Peña Nieto. The pro-business PAN pushed for the creation of the oil fund and for greater flexibility for the private sector. The PAN tried several times when in power, from 2000 to 2012, to open energy to the private sector, but the PRI didn't support such moves. The Party of the Democratic Revolution, or PRD, and other leftist groups, oppose the energy bill, which they regard as giving up state control of a strategic industry. Critics say the energy overhaul opens the door to a future sale of state firm Pemex, while transferring the nation's oil income to private interests. The government has repeatedly denied there are any plans to privatize Pemex. Constitutional changes included in the energy bill were accompanied by several temporary dispositions detailing points that secondary legislation must contain. The secondary legislation is expected to be passed in the first half of next year.